St John’s School & College is a special educational needs (SEN) school and college in East Sussex. It needed an HR system that would bring together all their people data in one place, helping them to comply with sector-specific requirements and provide line managers and employees with self-service functionality. Man: We aspire to be an outstanding school and an outstanding college and an outstanding deliverer of care and therapy integrated together. And we’re a very long way down that journey, doing really, really well at the moment. Also, we want to be a reflective organisation, one which is really interested in the process of working and helping young people with complex needs learn and develop, and really understand and get underneath the skin of that particular process. And I’m really confident that we’re a long way down that journey already. Woman: So, when I joined St. John’s, we didn’t have any database. We then purchased a very simple system which was fine for holding employee data, but it just couldn’t do anything more sort of detailed and interesting with that data. So, we decided to invest in a system like CIPHR. And I looked at lots of different providers at the time, but CIPHR really stood out to me because we were a growing staff team. In my time at St. John’s, we’ve doubled our staff team and we have lots of different bodies come in and inspect us and we need to be able to produce lots of information really quickly. Also, as we’ve grown, our management team have taken on more HR responsibilities on the floor, and I needed to give them a system where they could quickly access their staff information and they could quickly make decisions. And CIPHR’s been able to do that for us. Our sector’s specific challenge is that we need to hold the information but we need to be able to produce information as required. In our sector, there’s something called a single central record that has to be completely 100% accurate. There is no tolerance for any errors on that tool. And it’s all around safeguarding and safeguarding young people in our sector and it’s all about pre-employment checks. And we have to hold the record and we have to check staff details every three years and then, you know, obviously ensure that there are no cautions or convictions or anything like that. And it’s so incredibly important that we can get that data quickly. We’re not told when inspections are going to happen. So, often the inspection team will land and the first thing they want to see is the SCR. Our old days face, the breaking point for me was that it was taking six hours to produce that report and it just didn’t. In the end, it kept breaking. The CQC come in and inspect our post 19 residential houses. Their requirements are very similar to Ofsted. Again, we don’t know when they’re going to come in and inspect us but they will want to look at similar information. So they will want to be reassured and see the evidence that we are undertaking all the safeguarding checks that we need to and our staff are completing all the mandatory training that they require. So again, we use CIPHR for exactly the same as we would an Ofsted inspection. We can pull out the same information very quickly, and it does meet their requirements. 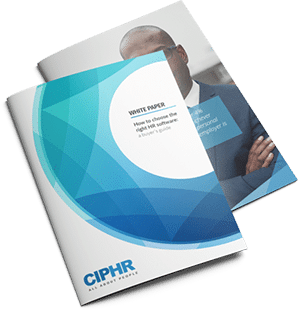 So, when we started working with the team at CIPHR, one of our requirements, we made it really clear that we needed the SCR report and we needed to be able to hit that button and produce that report within minutes, and it is produced within minutes. And that also means that on a monthly basis, we are proactively running that report and just triple, triple-checking so that when the inspection team do arrive on site, I have full confidence that it is ready and it is perfect. Because of the sector that we operate in and the regulations that surround us, we need to ensure that we’re undertaking overseas checks for some of our staff dependent on some criteria. And again, we can record that on CIPHR and make sure that we are on top of that to make sure that we don’t lose sight of where those checks are at, and that they don’t start work until these checks are in place. 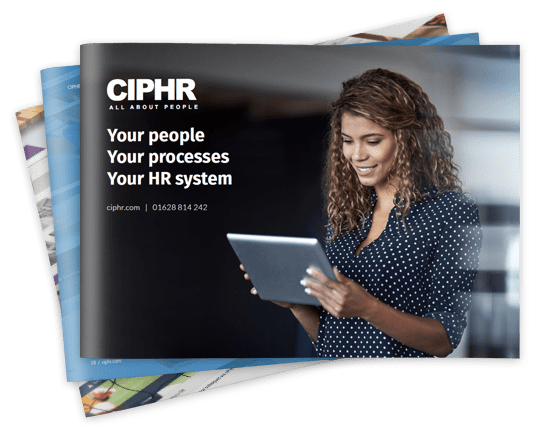 I think CIPHR has supported our culture because our staff have never had an intranet for…they’ve never had a place where communication, they can go to an essential communication. And also for me, improving the culture is about allowing staff to take control of their own data and to understand the information that HR hold on them. I think we’re aiming to have a much more transparent culture. I think that’s really important to St. John’s. So, to have all of those things available for staff to see and engage with is really important. 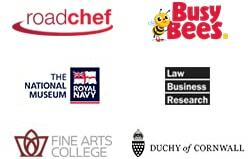 As a school and college, CIPHR has the ability to do everything that we need to do in our sector. So it does meet all the mandatory requirements that we need to do in terms of safeguarding, in terms of training, and in terms of performance management as well.